Trent Boult will miss the final ODI and first T20I against Pakistan as New Zealand look to shuffle their pack. New Zealand fast bowler Trent Boult has been rested for the fifth and final match of the ODI series against Pakistan and the first T20I against the same opposition. Boult, who took 1/73 as New Zealand beat Pakistan to go 4-0 up in the ODI series at Hamilton on Tuesday, will miss the final match of the series at Wellington on Friday and the opening T20I on Monday 22 January. Boult will then return to the T20I squad for the second and third matches of the series to be played at Auckland and Mount Maunganui, with the Black Caps keen to rotate their squad and try out different combinations in the shortest format. Lockie Ferguson, Ross Taylor and Tim Southee are selected for the upcoming T20I series, but will all rest at various points, allowing less experienced players the opportunity to impress. One those given such a chance is Ben Wheeler. Wheeler, a left-arm seamer who made his ODI debut in 2015 against England, last represented his side in early 2017. 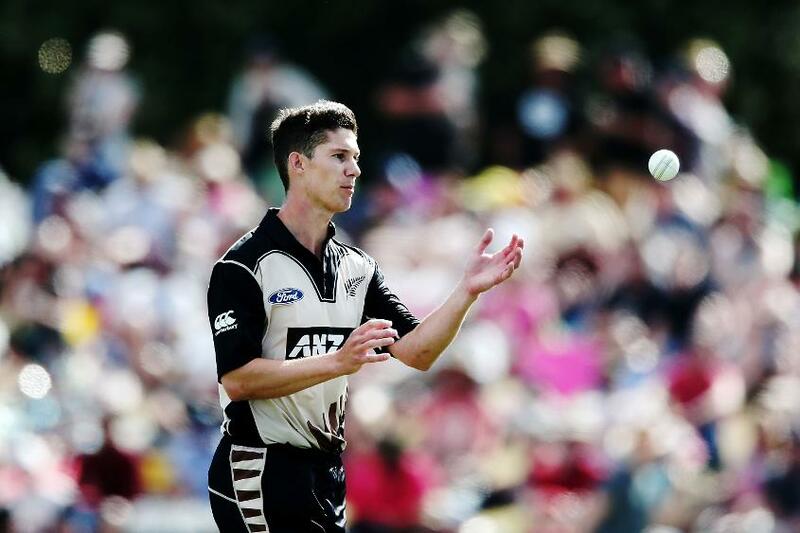 Black Caps selector Gavin Larsen said: “Ben’s ability to swing the ball makes him a threatening bowler and his batting power and athleticism in the field compliments that nicely." Also coming into the squad is Seth Rance, the right-arm seamer who made his debut against Ireland last year. Both Wheeler and Rance will join the New Zealand side in Wellington for the last game and will stay on for the first T20I. “It will be nice to see more of Ben and Seth while we manage the workloads of Tim and Trent,” added Larsen. Mark Chapman, who is second on the New Zealand domestic T20 competition’s batting chart, was denied a spot in the squad by Tom Bruce who continues to be a part of the side. Chapman’s 300 runs at an average of 37.50 was not enough to merit a claim in the side. Bruce, on the other hand, has made 28 runs in three T20Is against the West Indies. “Mark has been really impressive for Auckland, but with the form that Tom Bruce and Ross Taylor have been in we felt they deserved to continue getting opportunities," Larsen said. "We'd like to see Mark continue to work on his bowling, which could open up other opportunities for him outside of just that number five spot." Ish Sodhi, Glenn Phillips and Anaru Kitchen are all included for the T20I series, having not been involved in the ODIs.